Throughout five days, spectators will enjoy the amazing site of balloons ascending through the Waikato sunrise from 7:00am every morning and Hamilton's biggest night out at the Zuru Nightglow, where the balloons glow to orchestrated music finishing with the best fireworks display in town! Balloons over Waikato is New Zealand's premier hot air balloon festival. Held annually, in Hamilton, this iconic event it is arguably the most popular event in the city. 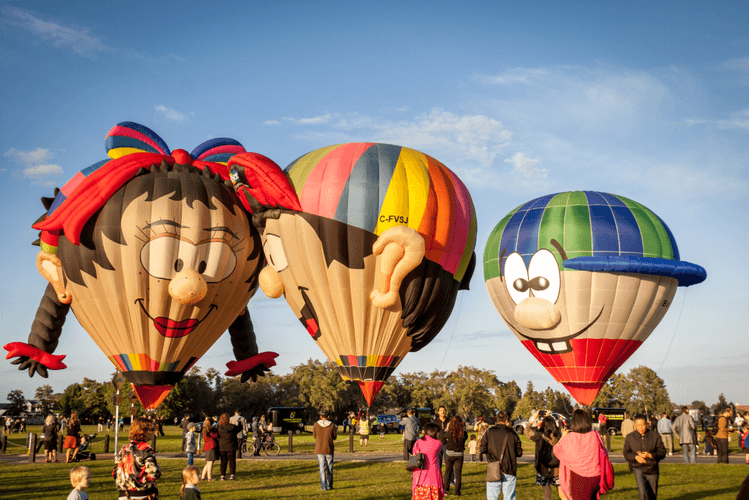 It attracts balloonists from all over New Zealand and around the world, who come to experience the fun, friendship and warmth this balloon friendly city provides and to demonstrate their skills in a range of competitive activities. Morning Flying - From 7:00am - Every morning - Innes Common - Find the programme at the website. Zuru Nightglow - 4pm-9pm - 23rd March 2019 - University of Waikato. Find the programme at www.balloonsoverwaikato.co.nz/night-glow/.